« They are darkened in their understanding and separated from the life of God because of the ignorance that is in them due to the hardening of their hearts. … The Whole Armor of God  A final word: Be strong in the Lord and in his mighty power. 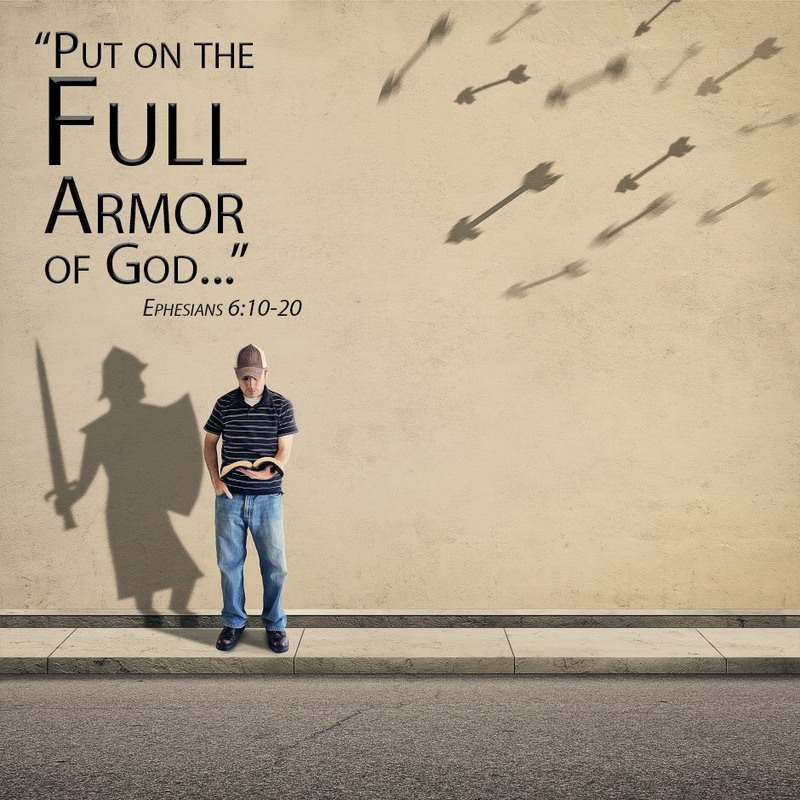 Put on all of God’s armor so that you will be able to stand firm against all strategies of the devil. For we are not fighting against flesh-and-blood enemies, but against evil rulers and authorities of the unseen world, against mighty powers in this dark world, and against evil spirits in the heavenly places. Therefore, put on every piece of God’s armor so you will be able to resist the enemy in the time of evil. Then after the battle you will still be standing firm. Stand your ground, putting on the belt of truth and the body armor of God’s righteousness. For shoes, put on the peace that comes from the Good News so that you will be fully prepared. In addition to all of these, hold up the shield of faith to stop the fiery arrows of the devil. Put on salvation as your helmet, and take the sword of the Spirit, which is the word of God. Pray in the Spirit at all times and on every occasion. Stay alert and be persistent in your prayers for all believers everywhere. And pray for me, too. Ask God to give me the right words so I can boldly explain God’s mysterious plan that the Good News is for Jews and Gentiles alike. I am in chains now, still preaching this message as God’s ambassador. So pray that I will keep on speaking boldly for him, as I should. Today, the day the Lord has made. For the gift of worship and the blessing of God’s inspired Word. My family and my health. For a restful weekend blessed by time with my grand babies. For True Image Landscaping. Dear Lord God, Abba Father, thank You for today and Your blessings. For all the songs, sermons, devotions and readings the guide and get me through each day. For letting me see and feel Your presence. I pray that You will use these posts to touch someone in need of reassurance or vulnerable to the ways of the world. And as I pray for me and mine, I pray for them too. That You will bless us, keep us from evil and causing pain. Strengthened by Your Word, clothed in Your armor. This entry was posted on February 12, 2019 at 6:41 am and is filed under One Walk. You can follow any responses to this entry through the RSS 2.0 feed. You can leave a response, or trackback from your own site.